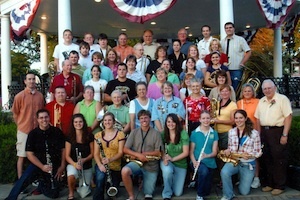 The community band plays for ten weeks starting the second Sunday in June. 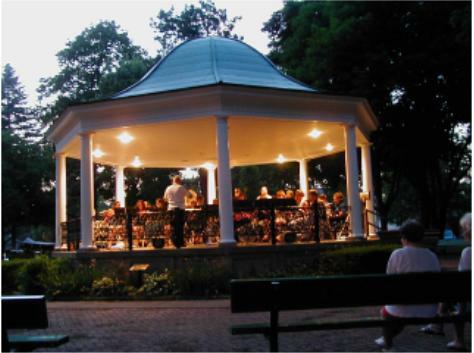 The Elmwood Community Band is the longest continously performing community band in Illinois. 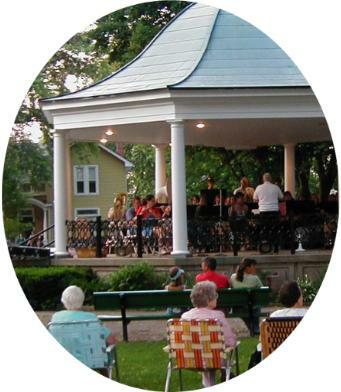 The community band offers musicians from around the area the opportunity to share their talents with the community. Bring a lawn chair, sit back, and enjoy a quintessential American experience. 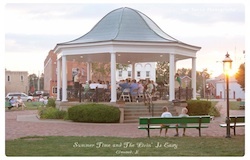 People visit and relax as the band warms up. 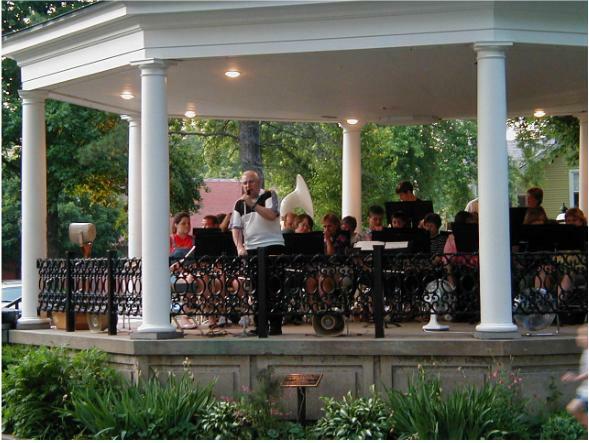 Stu always introduces the band's selections and welcomes everyone to the summer concerts. 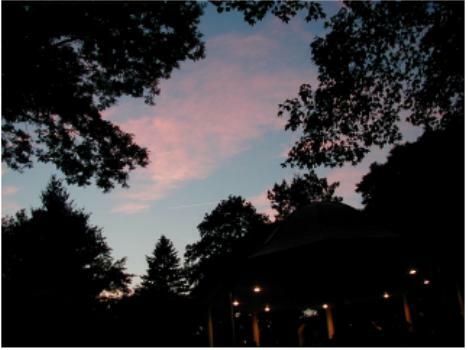 Starting at 8 PM the daylight slowly recedes as the concert is performed. 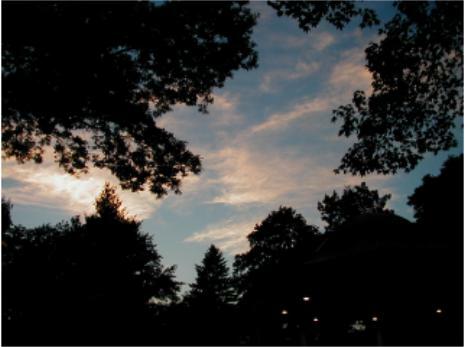 The music floats as the sky changes color. Every week the concert closes with the National Anthem, people stand, some sing, others wish they hadn't. It is a wonderful way to enjoy life. 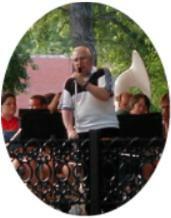 Stu was agreat band director and contributor to Elmwood, he will be missed as director. I hope he can enjoy listening from his lawn chair.